Easter 2019 is nearly upon us (19-22 April) and with it brings a long weekend, school holidays and plenty of time to enjoy with our family and friends. If you’re not sure how to spend your weekend, we’ve put together a list of some Easter-themed events and activities happening around Australia this year. 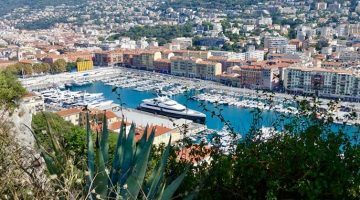 Plus, if you’re lucky enough to find yourself overseas during Easter this year, we’ve included a few choice events from some international resorts. Sydney’s biggest Easter event, the Royal Easter Show runs from 12-23 April at Sydney Olympic Park. More than just an Easter-inspired event, the Easter Show is a great day out with agricultural experiences, fresh produce, animal displays, arts and crafts, baking, carnival rides, live entertainment, showbags and much more. Thredbo is holding possibly the highest-stakes Easter egg hunt in the country this year, with the Golden Easter Egg Hunt by Lindt. Open to kids and adults, the hunt involves one grand prize worth $5,000 and five golden eggs worth $1,000 each. A separate egg hunt for kids only is being held on Easter Sunday, as well as activities like Amazing Race, mountain biking, hikes, face painting, tree planting and more over the school holidays. 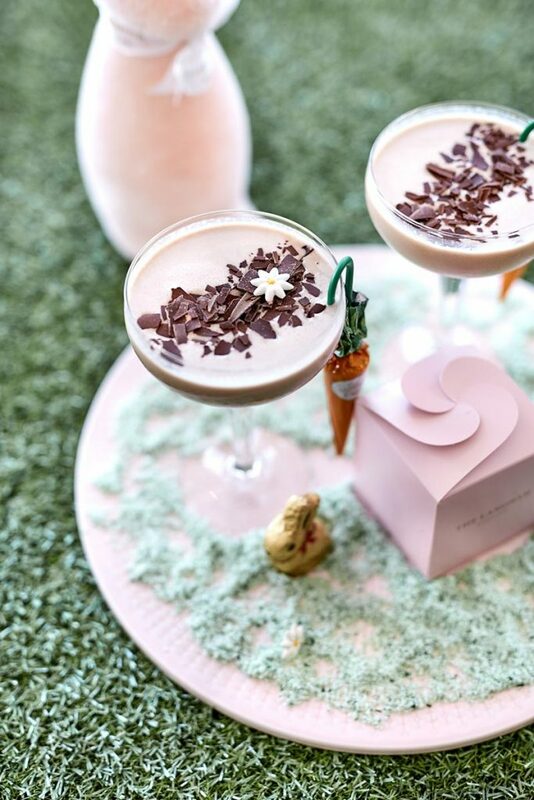 One for the adults, Sydney’s Coogee Bay Hotel has created three tasty and totally Instagram-worthy Easter-inspired cocktails. The Easter Egg, Indulgent Bunny and Chocolate Espresso cocktails will be available from Thursday 18 April until Monday 22 April. The beautiful Hunter Valley Gardens will provide the backdrop for a veritable Easter playground this year, with thousands of brightly coloured eggs hidden throughout it. Every child receives chocolate at the end of the hunt. Plus, each day of the weekend there will also be a golden egg hunt to win a Family Annual Pass and an Easter Egg basket. The Great Centennial Park Egg Hunt is a veritable ticket around the world this Easter. Kids will follow an activity trail around the park that will introduce them to different Easter traditions from countries like Greece, Germany and England! Buy a ticket before 8 April and you’ll go in the draw to win a Cadbury chocolate hamper. From 30 March – 29 April, Shangri-La Hotel Sydney will host pastry chef Anna Polyviou’s enchanted Easter Garden. 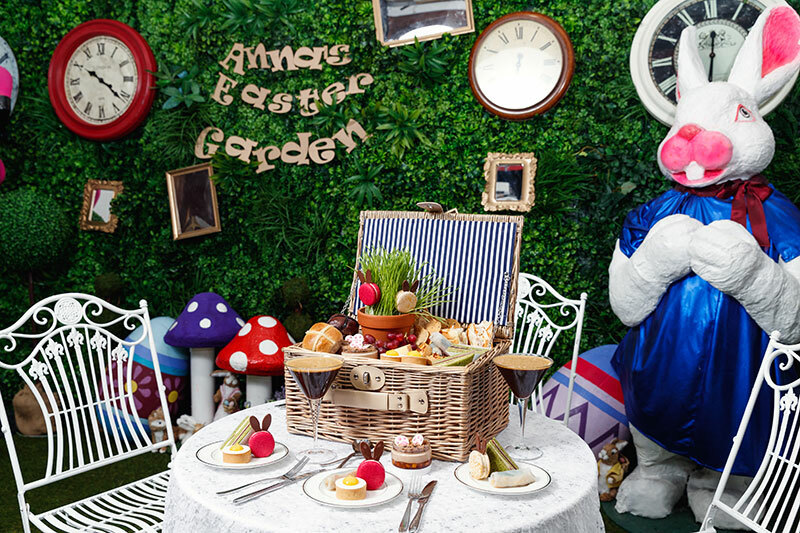 Enjoy an Easter High Tea Picnic amongst a whimsical setting with a mini-maze, towering bunny rabbits, colourful eggs, mad hatter clocks and more. The Sofitel Sydney Wentworth hotel will be hosting an Easter egg hunt outside on their Garden Court for kids. The hotel is also offering a family package deal with an Easter-inspired high tea and an array of Easter activities. 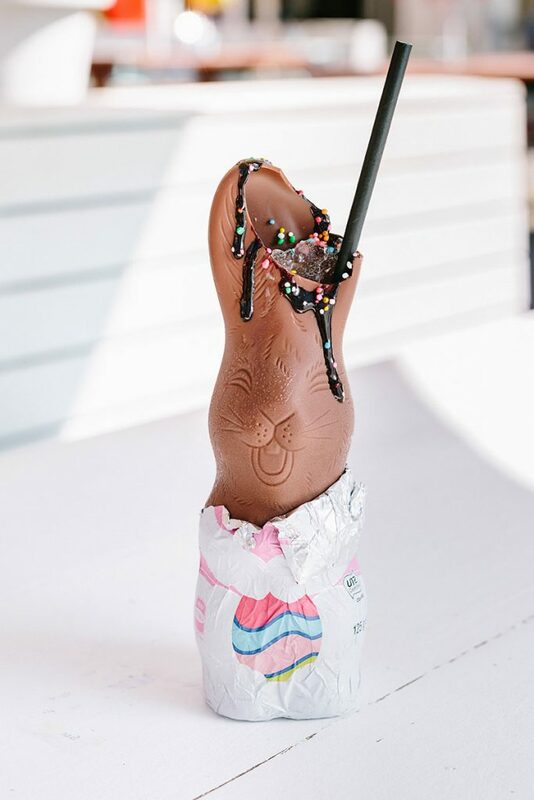 The Leura hotel will be hosting an Easter Hat Parade on Easter Saturday, as well as an Easter egg hunt on Sunday morning – with the Easter Bunny as the guest of honour! Guests and members of the public can register for the Radisson Blu Plaza Hotel’s free kids Easter egg hunt held on Sunday 21 April, which will also be attended by the Easter bunny. The hotel is also offering accommodation package deals over the school holidays, and a kids high tea menu. The InterContinental will be giving its regular high tea an Easter overhaul. Some highlights of the new menu include white chocolate bunnies, an Easter egg caramel tart, deconstructed carrot cake, lemon meringue tart and a hot cross scone served with Pepe Saya butter. There will also be a pop-up egg decorating station that both kids and adults can participate in. 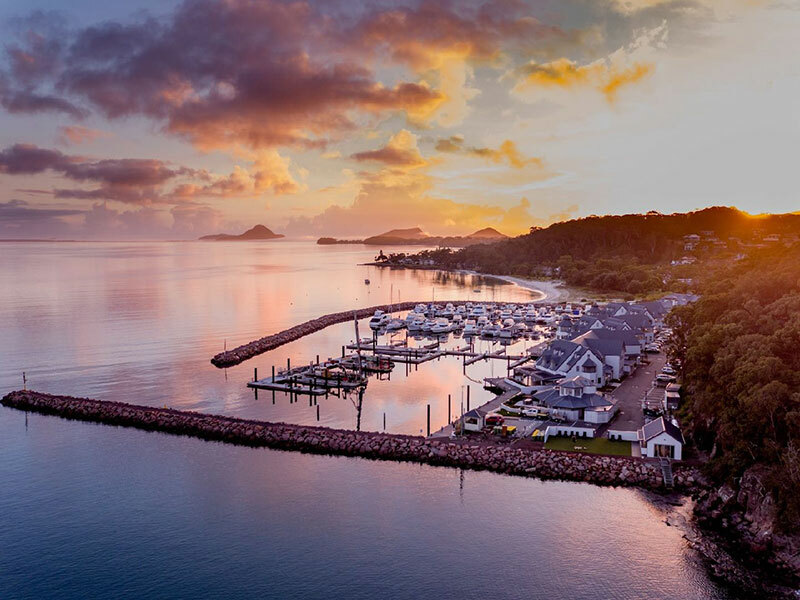 The Port Stephens hotel will be offering a ‘Fish Friday’ menu on Good Friday, as well as an Easter egg hunt on Sunday. 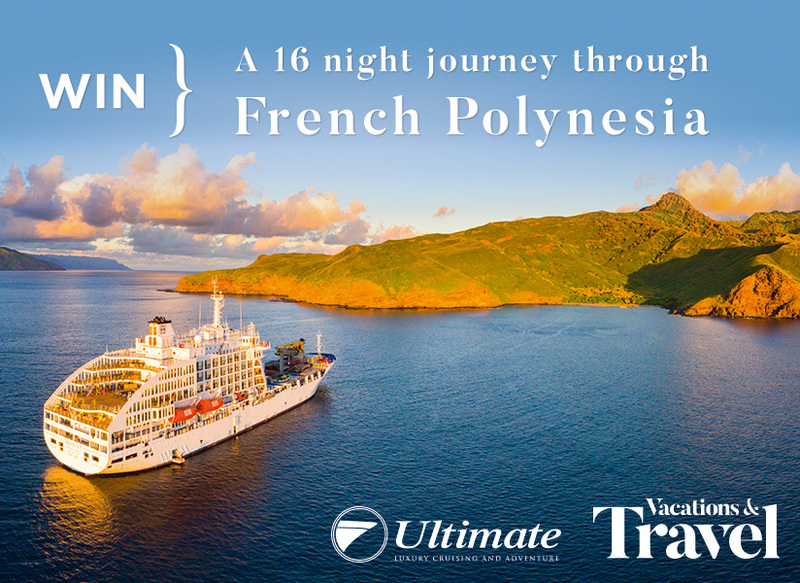 The Anchorage is also offering special accommodation packages that include Happy Hour cocktails, spa vouchers and chocolate hampers. Kids staying at the Mercure Gold Coast will be able to enjoy an Easter egg hunt around the hotel’s foyer. Plus, kids below the age of 12 can enjoy a full breakfast for free when accompanied by a full paying adult. 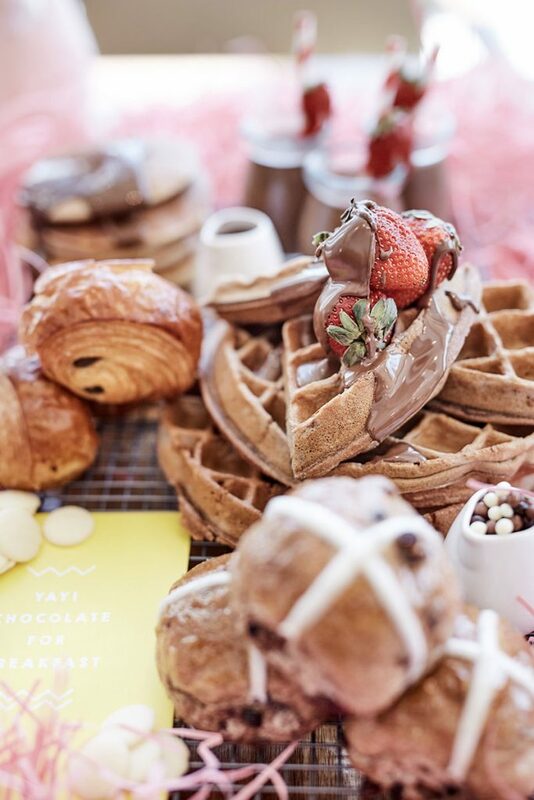 From now until Tuesday 23 April, Emporium Hotel South Bank’s French-style bistro Belle Époque will be serving a gourmet range of Easter-themed pastries, baked goods and chocolate. The creations are the brainchild of Executive Sous Chef (Pastry) Alex Liddle. 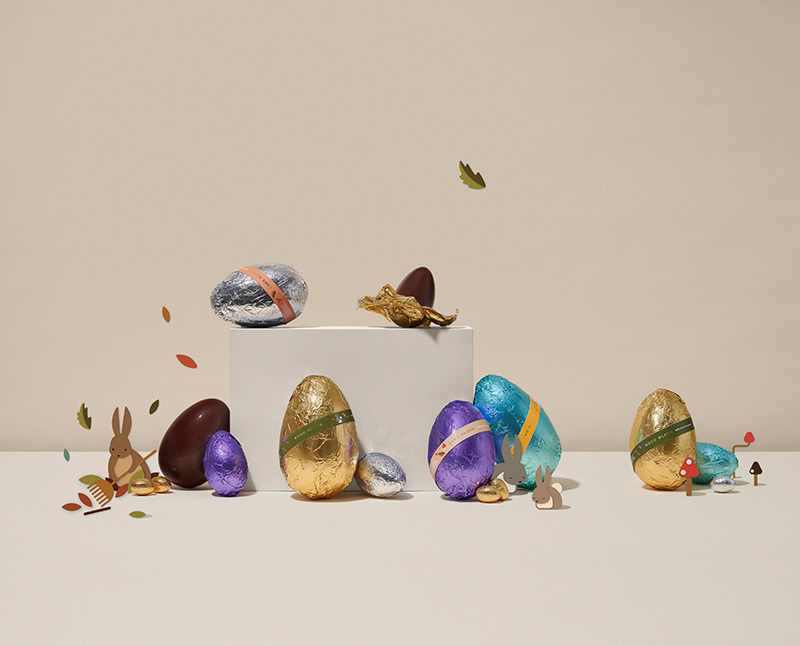 The Easter treats range from re-imagined hot cross buns to Valrhona chocolate truffle-filled eggs to a decadent spiced carrot and walnut cake. The Brisbane hotel has re-imagined its popular high tea with an interesting Australian Easter twist. Some highlights include the hot cross scone as well as the wattleseed and macadamia mini Easter egg. The special high tea will be available on Fridays, Saturdays, Sundays and Easter Monday in April. The Great Easter Egg Trail is back at the Museum of Australian Democracy Old Parliament House (MoAD) on Sunday 21 April. There are four new trails for keen chocolate-hunters to explore while following clues and solving riddles, all leading to a big chocolatey prize. 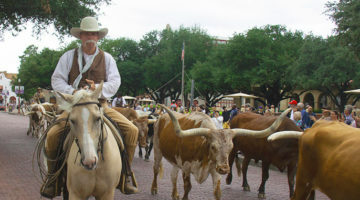 Featuring other activities and games too, this event is a great idea for families. Bookings essential. 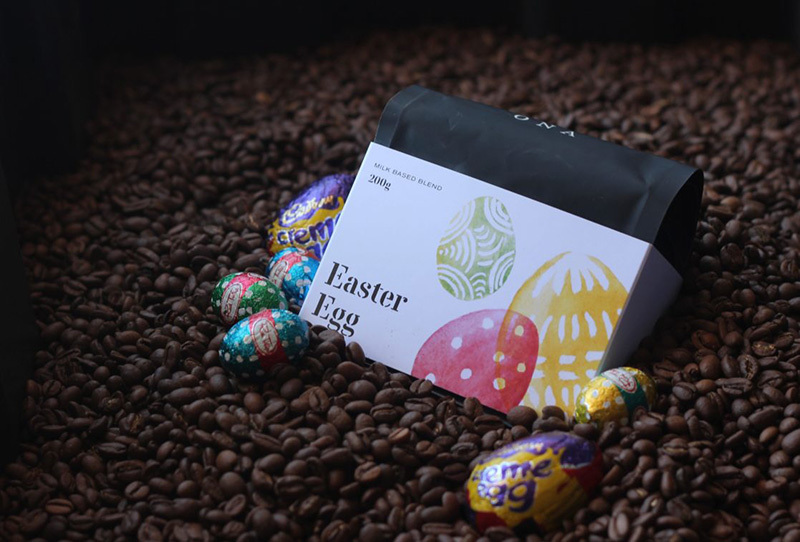 The roasting team at ONA Coffee have created a special ‘Easter Egg’ blend; a mixture of single origin coffees from Africa, India and Papua New Guinea. The blend has a sweet, milk chocolate flavour, and when paired with milk, it transitions into a sweet, caramel chocolate flavour – reminiscent of a Creme Egg. The Easter Egg blend coffee will be available at Highroad, The Cupping Room, ONA Manuka or ONA Coffee House. The Cranbourne Turf Club will once again host the Melbourne Easter Show over the long weekend. With an egg hunt as well as rides, entertainment, plenty of food, showbags and more, there’s plenty for kids and adults alike. Mornington Peninsula’s Pt. Leo Estate have partnered with premium chocolatiers Koko Black for a huge Easter Egg hunt on Sunday 21 April in their world-renowned Sculpture Park. There will be over 3,000 gourmet chocolates hidden amongst the sculptures, plus there will also be activities like face painting and colouring stations for the kids, and live music for the adults. Pullman Albert Park’s cocktail bar, Lizzie’s Lane, will play host to a petting zoo, face painter, Easter egg hunt and lunch for kids on Easter Sunday. Adults won’t miss out either, with high tea available, in addition to the bar’s cocktails and craft beers. The Langham Hotel in Melbourne currently has a special Easter accommodation package on offer. 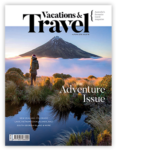 It includes a chocolate surprise delivered each night, complimentary in-room movie, buffet breakfast for two at Melba Restaurant, afternoon tea for two and more. 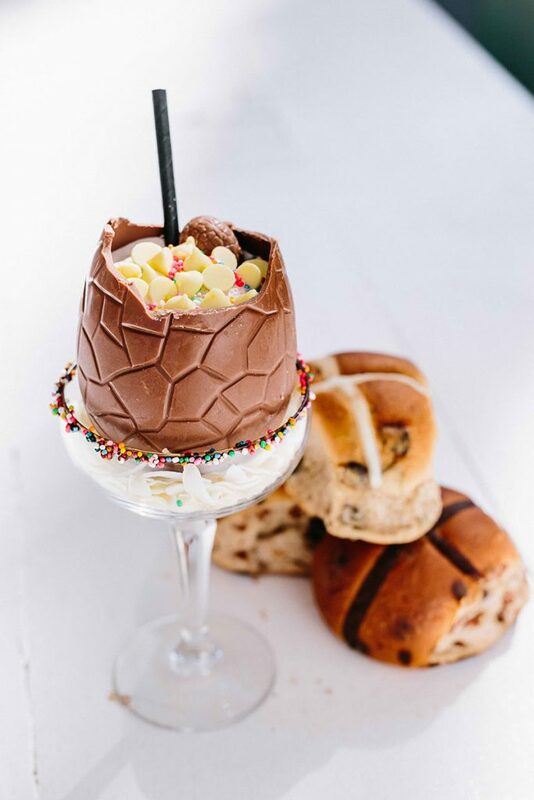 On the Easter long weekend, Aria Bar & Lounge will be hosting an Easter Egg Surprise High Tea, including Easter bunny ear chocolate tarts, Easter chocolate cake with raspberries, pannacotta with sugared carrots and more. The Ghost Rock winery holds an annual Easter egg hunt and picnic on its grounds every Easter Saturday. Entertainment is provided while families enjoy their picnics, as well as activities for kids like face painting, jumping castles and balloon artists. Sister Maldives resorts, Amilla Fushi and Finolhu, are hosting Alice In Wonderland and Charlie and the Chocolate Factory-themed Easter celebrations this year. 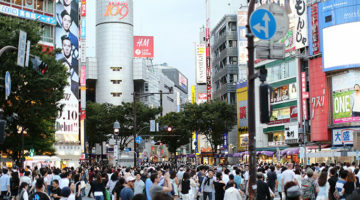 They’ll both involve egg hunts spanning the islands, themed fashion shows, kid’s yoga and arts and craft activities. 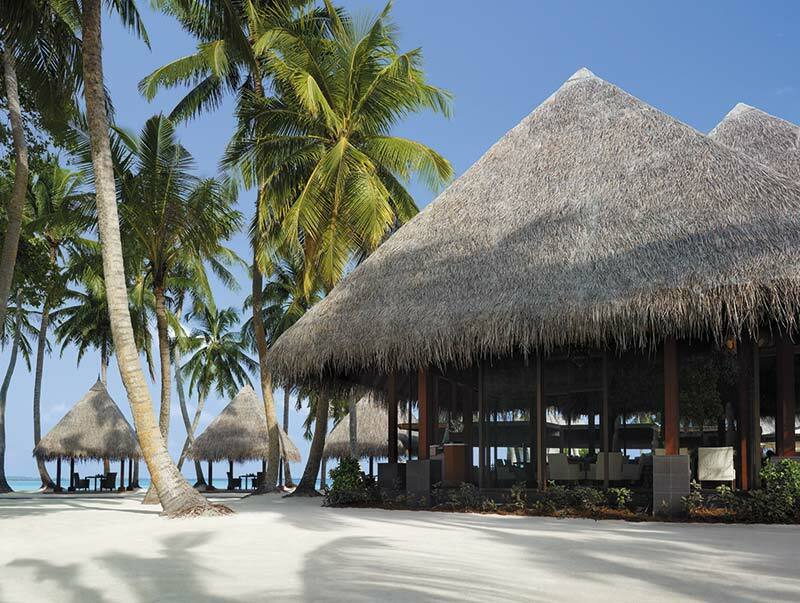 Shangri-La’s Villingili Resort & Spa in the Maldives is offering a range of Easter activities for kids and adults alike this year. Its Javvu restaurant will be hosting a special Easter Sunday roast lunch for families, with a buffet and live-cooking station. The resort will also hold an underwater Easter egg hunt, basket decoration workshop, egg painting sessions and more. There will be Easter activities galore at Kandima Maldives this year! The resort’s kid’s club will be holding a range of Easter-themed arts and crafts sessions as well as egg hunts and a disco night. The resort will also be hosting an Easter chocolate challenge, plus, it’ll be erecting a giant Easter bunny sculpture on the beach; the perfect backdrop for a holiday photoshoot. The Phuket hotel will be hosting ‘The Progressive Sunday Easter Brunch’ on Sunday 21 April. Chef Dan Bark, who was formerly the Sous Chef at the Three Star Michelin restaurant, Grace, Chicago, will showcase his impressive culinary skills. Luxury resort Soneva Kiri, found on the island Koh Kood, is hosting an ‘Eggtastic Easter Programme’. The main event is the Easter egg hunt; wooden eggs will be hidden all around the resort for guests to find, which they can exchange for chocolate eggs. The hunter with the most eggs will receive a special prize from Lindt. 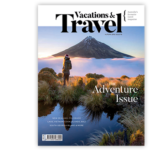 Soneva Kiri will also be holding a range of other activities for kids, plus an Easter cocktail gathering for adults. Chef Costa at the Peninsula Hotel Paris has created a luxe Easter egg, crafted from Valrhona chocolate with hints of citrus and Timut pepper. 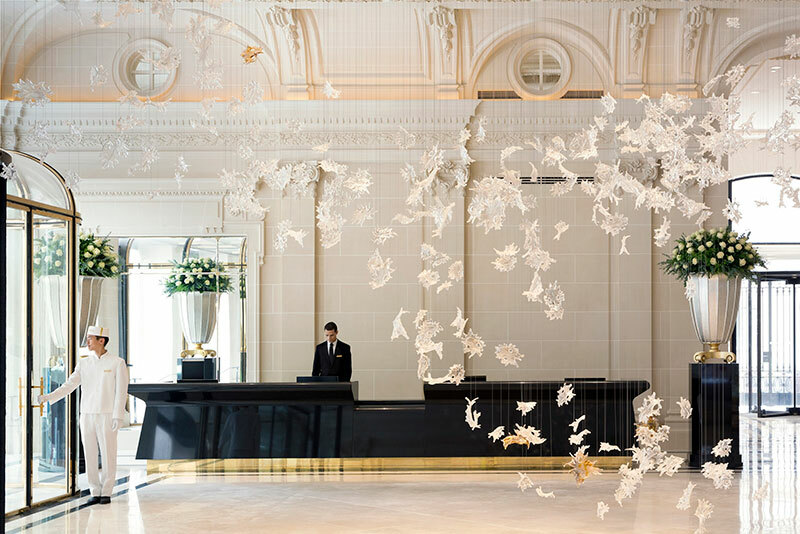 The egg’s form is inspired by the Dancing Leaves art installation in the hotel’s lobby. As well as this, the hotel has created a life-size Chocolate House filled with chocolate surprises.